Thirteen years ago, Congress passed No Child Left Behind. It mandated annual standardized testing as a way to ensure that students did not fall through the cracks. Over the years, programs like Race to the Top ratcheted up the stakes, increasing pressure on teachers, schools and districts to perform. Now No Child Left Behind is up for reauthorization and some lawmakers are calling for a removal of the mandate. This would allow states more wiggle room to design their own assessment methods. Meanwhile, parents and educators are increasingly questioning the number of tests students take and what the focus on testing is doing to our school system. 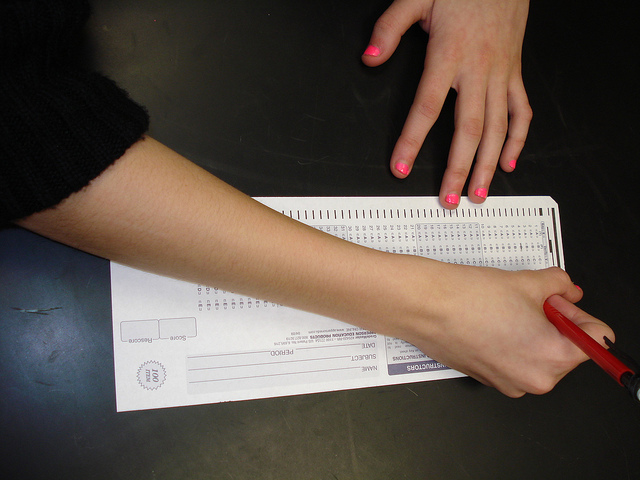 An update on the debate over the way we use standardized testing in America’s schools.